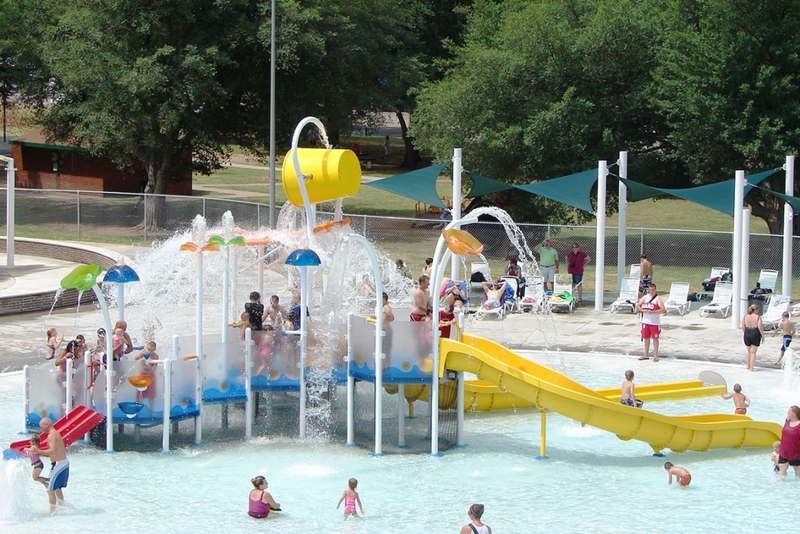 The City of Woodward, OK held the grand opening for the Crystal Beach Aquatic Center on July 4, 2009. The City has a population of almost 13,000 and wanted to build a new dynamic and exciting aquatic facility. A Vortex Elevations™ play structure was chose as the centerpiece for this facility. The Elevations play structure features slides, water cannons, multiple spray features and a giant dumping bucket. Groups gather under the huge bucket in anticipation of the giant splash! In 2010, Aquatics International chose Crystal Beach as a Dream Design Award Winner.